A red herring is something that misleads or distracts from a relevant or important issue. This traditional definition of “crime gun” is identical to that continuously used by the FBI in the US and the British Home Office. 10 Comments on "Bill C-71 is a red herring"
Why is the media not covering the fact that gang violence was not addressed regardless of the content. Let’s put harsher regulations on good drivers so we can sweep drunk, stoned or just plain bad drivers out of the lime light. Lowest hanging fruit easy to take advantage of. This government should be put on the spot in regards to its election promise and stop dodging the bullet (full pun intended). I have to say I am a bit taxed about paying the salaries for a propaganda wagon like the Communist Broadcasting Corporation and listen to them distort facts when this is exactly what they should cover. The solution: support Maxime Bernier of Conservative party Canada!! This guy stands firmly in protecting and representing law abiding gun owners. We could be as pissed off as possible, but it won’t help us! Sighing, prayer or whatever else, it’s ineffective! Support the politicians who will do something about this problem. Excellent report, unfortunately it needs to be seen in main stream media. How else is the general non shooting public going to be educated on the facts? Thank you for your kind comments. If you think the general public should see this report, I urge you to send the link to various news outlets … and your local MP. Reports receive much more credence this way than if I send them myself. This article is what Mr.Goodale should have included in his “extensive consulation” when drafting C-71. Could have read it and saved all his time trying to create a public safety solution that is so off the mark. Thanks for reading and appreciating my post. Mr. Goodale isn’t actually attempting to find an effective public safety solution; his goal is quite different. His strategy is to re-elect Liberals. The Liberal Party of Canada believes they are superior to the rest of us. 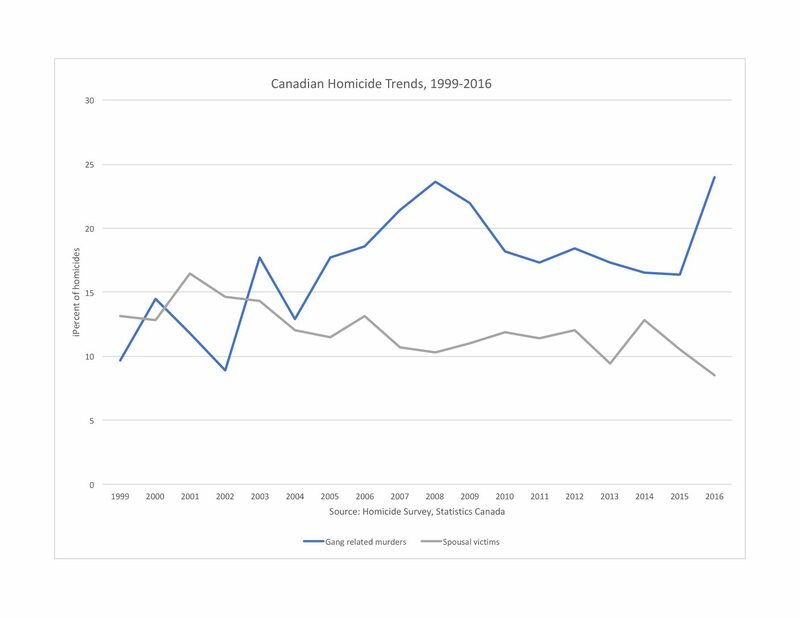 Mr. Goodale’s policies are designed to motivate the anti-gun forces in larger cities and suburbs, and to keep the RCMP happy. That’s it. He doesn’t care about Western Canada or rural Canada. His supporters aren’t there. If those of us who believe in civilian firearms ownership can remain calm and rational, we can win support from the undecided people who have some respect for traditional Canadian values. Thank you for your kind comments. Mr Goodale is just working to win votes. He doesn’t care a fig for truth or fighting gun violence. Please help defeat the Liberals in next year’s election by volunteering for a local candidate, donating money, or helping a pro-gun group somewhere in the country. Forget trying to change anti-gun people, they are lost. The non shooters, the people who know very little about guns and the different activities related to them, those are the ones we have a chance to educate. With a calm well informed approach most will listen and see through the liberals devious ways. My way of achieving this is by inviting them to the range so they can see for them selves, I’m not trying to convince them to become shooters, I want to expose them to the culture so they can see there’s nothing to fear. All anti-gunners are afraid of guns and usually for unfounded reasons, it’s very difficult to convince someone there’s nothing to be afraid of. Everyone I’ve taken to the range so far leaves with a huge smile and most ask me how they go about getting their PAL. Hello Gary. I recently sent this email (not exactly word for word) to Goodale. I have my doubts that it will be read by him. I am 83 yrs. old and have had firearms since I was a youngster – one form or another. I have read excerpts of the proposed Bill C-71 and have some misgivings about its efficacy to stem the tide of criminal violence or activity. It appears to me it’s like a dogcatcher who only picks up the little strays that will readily approach -with tail wagging (Law abiding gun owners) – while the troublesome hounds (criminals) jump over fences and make good their escape. I call Bill C-71 the Dogcatcher’s Act and therefore urge you and other proponents of this odious piece of legislation to re-think what it will do to law-abiding individuals like me. You do not have to show those who are anti guns that you are doing something about crime. Criminals do not register their firearms. Instead of spending millions of dollars (maybe billions) on a non-effective Act, the money should be distributed to municipality’s coffers to enable them to hire more police. I have a licence to own a firearms , criminals don’t, end of argument. I get a criminal background check every day on my licence all for the sake of ‘safety,’ that stupid word that paranoid androids(anti gun peoples) use as a basis for an argument . Our country spent billions on a long-gun registry, and on a system that has probably never be use in a court of law to convict a criminal. Our government even tried too sell our system to other countries.One example is the NZ Police and they declined due to expense and inefficiency. 12.6 prohib law was a way to get 300,000 taken away from regular citizens, it was never about safety.No one is benefiting from these ‘law’ cough cough jerk tactics. When there is a school shooting in the US for example ; Florida, and law enforcement fails to do their job, they pass blame, and it feels like I’m forced to justify myself to anti-gun peoples for the crime. But yet nobody talks about metal health, it’s a subject that politicians just throw under they bed . They always hold the gun responsible, and the media makes tones of money off the ratings by telling dumb stories. Bill C-71 is a step back , in my view it allows a Federal Police force to write legislation, which is VERY unconstitutional and lazy on the governments end. Part of living in a democracy is having the right to choose, I choose to have firearms, and I have the right to decide what to do with my property. Bill C-71 is going to create a whole new set of problems, you just have look at the the UK. Funny how a lot of handguns that citizens were forced to give up , ended up on Holts auction block to sell to rich collectors. Prohibition does not work! Look at Al Capone, prohibition made that guy a multi millionaire so why make criminals rich. Tell Gooddale if he wants votes come up with a universal dent plan like MSP , help your fellow man , don’t try to put him in jail for target shooting.